Alarmingly, hopes for a ceasefire faltered on Thursday. Secretary of State John Kerry left a meeting with Benjamin Netanyahu without securing an agreement. According to a report in the Washington Post, Netanyahu was furious about a ban on commercial airliners landing in Tel Aviv that the Federal Aviation Administration imposed earlier this week, suspecting that “it was an attempt by the Obama administration to squeeze Israel to end its Gaza campaign.” The flight ban was lifted on Thursday night, but Israel and Hamas gave no indication that they were ready to reach a deal. A senior official for Hamas reiterated that it wouldn’t halt its rocket attacks until Israel agreed to end its blockade of Gaza. Meanwhile, Moshe Ya’alon, Israel’s defense minister, told troops preparing to enter the Strip that the I.D.F. was on the verge of broadening its offensive. “We are preparing the next stages of the fighting after dealing with the tunnels, and you need to be ready for any mission,” Yaalon told the soldiers, according to the Post. “You need to be ready for more important steps in Gaza, and the units that are now on standby need to prepare to go in.” After Thursday’s tragic strike, where can Gaza residents take shelter? 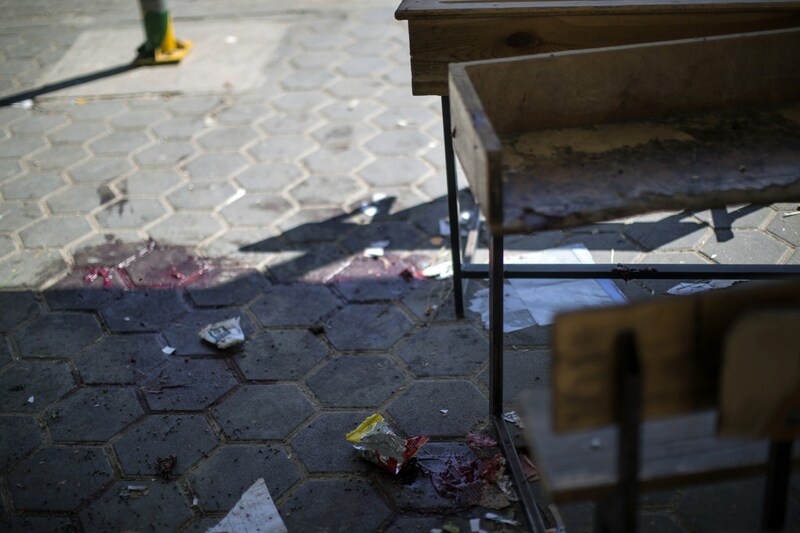 The tragedy at Beit Hanoun came during a particularly grim week for the United Nations. During his Tuesday videoconference with the Security Council, Ban praised UNRWA for carrying on in the midst of war. “I want to stress how deeply proud I am of our many U.N. colleagues, with UNRWA in the lead, courageously assisting the people of Gaza under such difficult circumstances.” He also said that the escalation in fighting was “acutely affecting” UNRWA’s operations and that 23 of its installations have been closed and 77 damaged during the latest round of fighting. Palestinian militants have taken advantage of those closures, turning vacant U.N.-administered schools into temporary arsenals for rockets, causing even more friction between the United Nations and Israel. Previous Previous post: Why Am I Moving Left? Next Next post: Really? No Benefit Cuts?